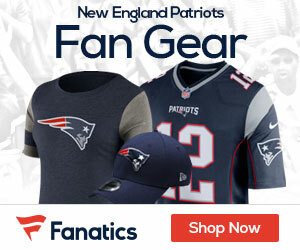 Patriots Tight End Rob Gronkowski drops by the Late Night Show with Stephen Colbert to trick-or-treat and promote a video game. 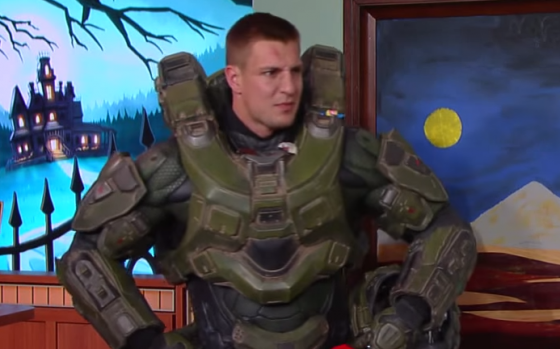 Patriots star Tight End Rob Gronkowski dropped by The Late Night Show with Stephen Colbert to trick-or-treat as Master Chief from the extremely popular Halo games. Gronk dropped by The Late Night Show to promote Halo 5:Guardians video game released this week on Xbox one. He promoted the game, poured some candy on himself, argued with a little princess, and handed out copies of Halo 5. I have to admit, the costume was amazing!